Cliciwch yma am y Gymraeg. What can we do to support people who experience sexual attack and /or oppressive behavior in our communities? How can we respond in a way that brings about positive change and what is our sense of justice? What is an ‘accountability process’? Plus an Introduction from Sohvi, an anarchist who put together a new zine “What about the rapists? Anarchist approaches to crime and justice”. Sohvi thought the lack of literature on grassroots responses to oppressive behavior undermined the credibility of anarchism. With a view to changing this, she studied law & legal theory for five years – although most of her inspiration comes from the anarchist ideas and practice of her comrades of the past and present. She will be discussing her contributions to the new zine, which summarise some of her main ideas on this theme. Available to download here: http://dysophia.org.uk/wp-content/uploads/2014/09/Dys5-WhatAboutTheRapistsWeb2.pdf. A wider selection of zines (for donation) for further reading will be available and some snacks. All week: action camp at Tredegar Park near Newport, with gigs, workshops, skillshares. Sat 30th Aug, 1pm meet at Civic Centre Car Park, Newport – Radical bloc will join demo against NATO in Newport. Sun 31st Aug, 3pm at the Security Gates nearest to the Nye Bevan statue (west end of Queen Street, opposite the Castle), Cardiff- Action against securitisation and policing. 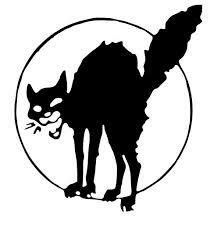 Mon 1st Sep, 1pm at The Cenotaph, Newport – Sabcat day of action against austerity, benefit cuts and evictions. B.Y.O.Catmasks. Tue 2nd Sep, 12pm At Home office and Border Force in Cardiff (31-33 Newport Road) – No Borders S. Wales and Stop NATO Cymru Day of Action Against Racism, Prisons and Borders. Wed 3rd Sep – Day of skillshares and action training at the camp. Thu 4th Sep – Stop NATO mass action to disrupt the summit. Further details near the time (via contacts below). Affinity group actions to help disrupt the summit also welcome! NATO; get together with your mates and organise your own action. 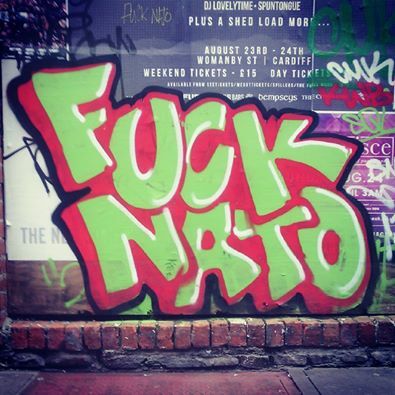 The Anarchist Action Network is working with Stop NATO Cymru to mobilise against the forthcoming NATO summit. This is the penultimate organising meeting before the summit – come and join the mobilisation! Please email us in advance to discuss any queries about disabled access, childcare or crashspace at: stopnatocymru at riseup dot net. It was decided that the South Wales Anarchists meetings would take a new structure. Meetings will take place every fortnight , with a meeting in Cardiff on the second Wednesday of every month and a meeting in another location in South Wales on the 4th Wednesday of every month. Meetings will be at 8pm. 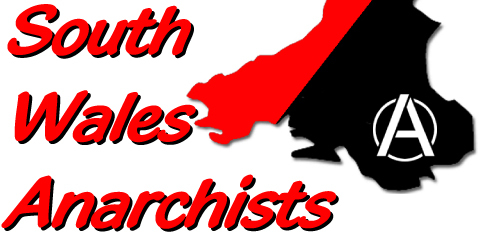 The next South Wales Anarchist meeting will be in Cardiff as it is next month we will begin meeting in different locations in South Wales. The next meeting will be at 8pm, Wednesday the 25th of June at O’Neills pub near the market (upstairs). The next of our weekly meetings will take place in Newport. The venue of the Newport Rising week long event where this meeting will take place will be announced this weekend. We look forward to seeing you there! The meeting will be on Wednesday the 28th of May and will start at the later time of 8.30pm. Why not come down early? The day’s theme will be class struggle and austerity.